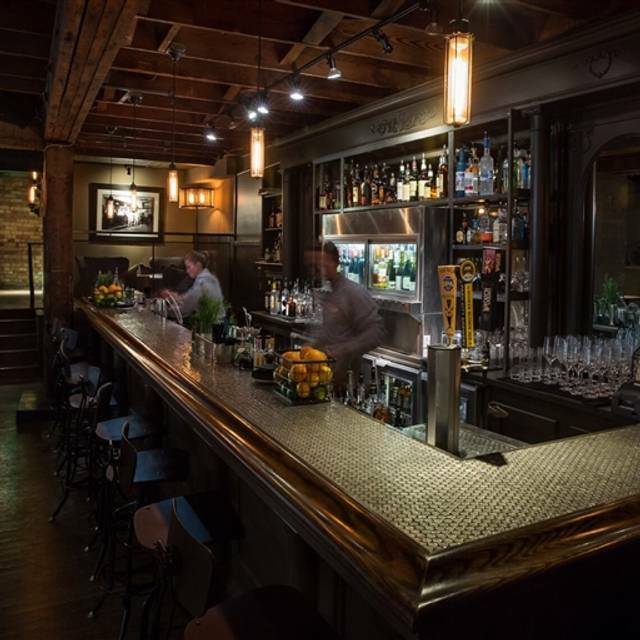 Firewood features American heirloom cuisine with seasonal menu rotations to incorporate the freshest regional produce. Many dishes will be prepared over open flame using chef-selected wood like cedar, cherry and maple to enhance flavor. 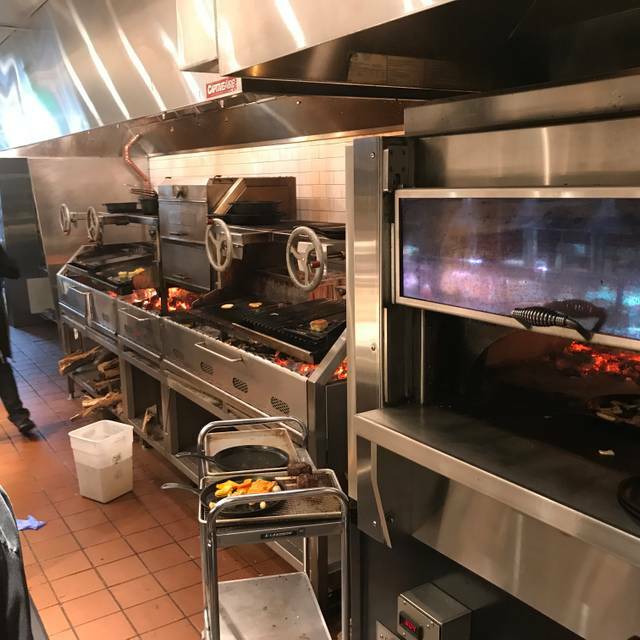 Firewood’s custom-made open flame grill boasts five separate cooking stations that guests will be able to see, thanks to an open kitchen design. Food was outstanding, service was ok. I was left without wine through most of my main course. It was the last night of service for the season, and we were told they were out of the brisket, then three briskets were served to the owners family who were seated an hour after us. I was also served under-cooked roasted sunchoke, which caused severe gastric distress the next day. Sunchokes need to be cooked thoroughly. That being said, the steak and duck were excellent (aside from the sunchokes), rillette and sides were amazing, several free delicious amuse bouches, and a fantastic goat cheese cheesecake that was light, airy and delicious. Service was excellent (compared to several other below par experiences in Park City) except for the lie about being out of a dish and an empty glass. I suspect the former is due to them playing favorites to the owners family and the latter due to a busy night and a busser removing my cocktail glass without asking if I needed another drink. Excellent experience ..restaurant a true gem. Food fabulous, service best we have ever had, chef’s extra treats a big surprise!! The food was interesting and well prepared, but the bar service was not up to par for this class of restaurant. We ordered wine with our appetizer, and was served a different wine. Not only could the server not tell us what wine it was, it was bad and we had to send it back. The manager spoke with us and said the service was not up to par since it was the "end of ski season". That is a poor excuse at best, and certainly I expect something better when we paid $500 for dinner for 3 people. Save your money and dine elsewhere. Delicious dinner! Started with salad of beets and greens and a pork/duck rillettes charcuterie plate. The chicken dish that followed was also judged to be very good. The waitstaff was friendly and efficient. We'd definitely return another time. 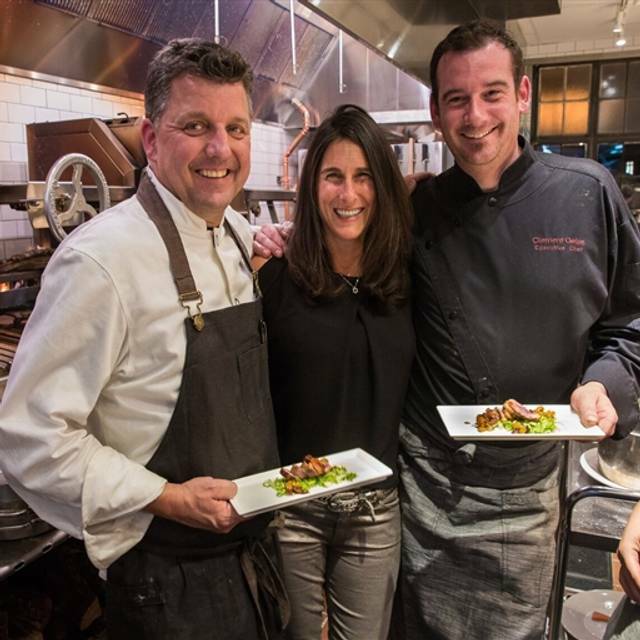 The best restaurant I have experienced in my seven years living and dining in Park City! 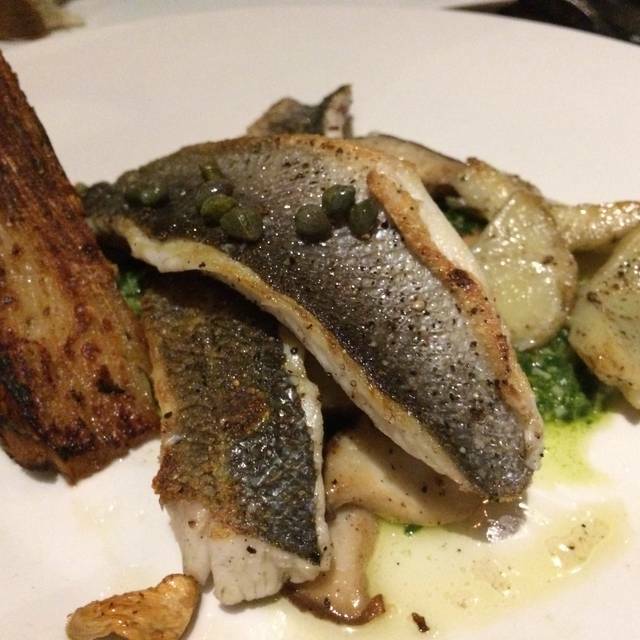 Very good quality food, prepared just right and as a bonus, server Mackenzie was exceptional! 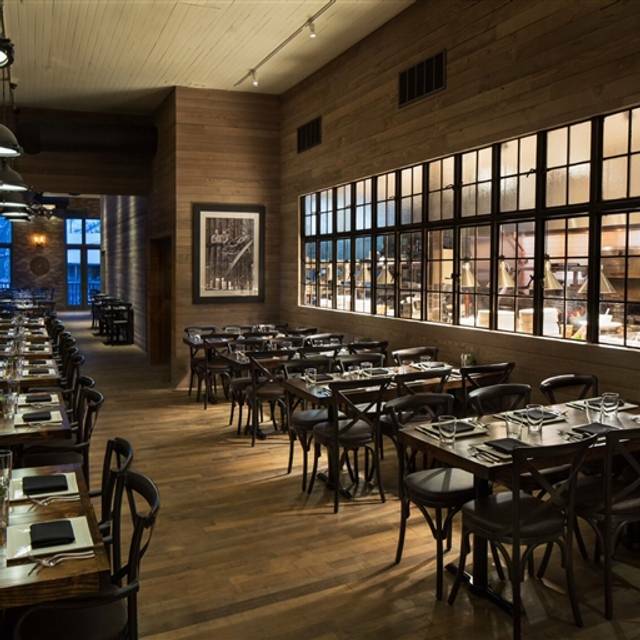 Very attractive rustic/modern interior / ambiance with proper lighting, comfy seats and table spacing. The table and ambiance was beautiful - the food was amazing! The salmon, the brisket and the service was top notch! We LOVED the food. Waitress was a little too attentive. We would have liked some time to ourselves. We always make a point on visiting this outstanding Restaurant.Its only getting better. Great food and service. 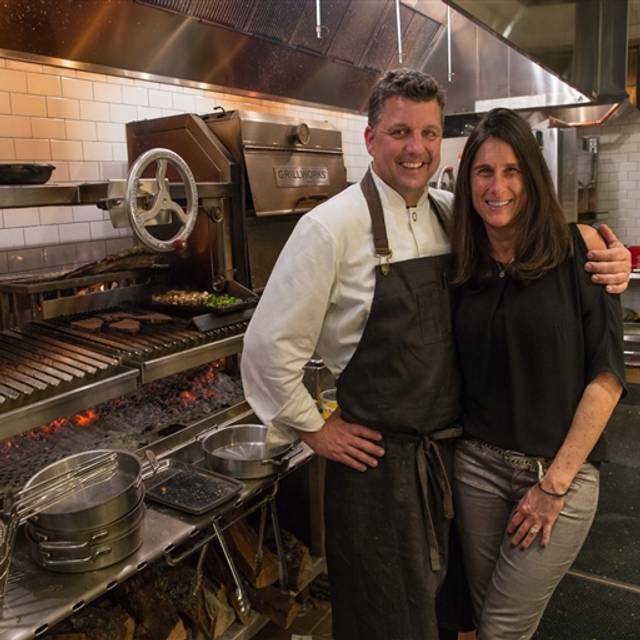 The best restaurant in Park City. The food here is excellent. 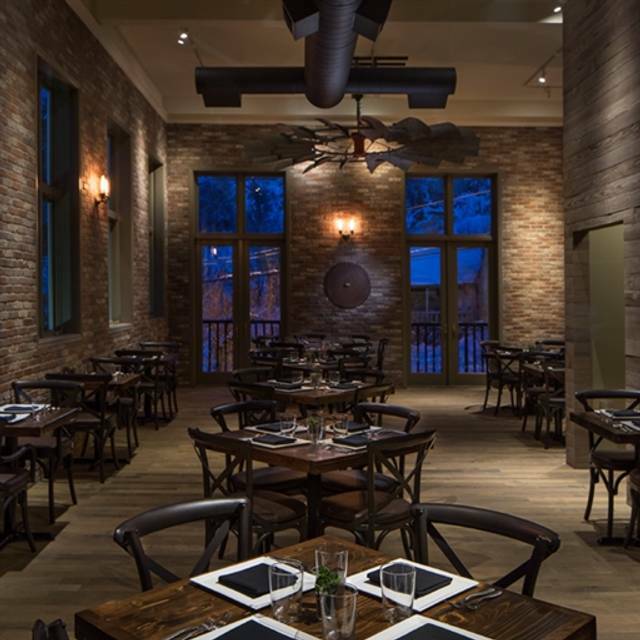 The best fine dining in Park City. Expensive, however and at this second visit here in three months we had mediocre service from Brian, who may just have had an off night. We started with the pork belly, tuna tartar and lobster chowder. All excellent. We then had the brisket, salmon and elk. All excellent. The duck came over-cooked, but was replaced quickly after being sent back. Good Spanish wines. Lost a star due to poor service as noted. Would come here again. Beautiful restaurant, excellent service but the menu is a bit limited. Loved it SO much that we returned the next evening! Just as great - tried new dishes. All fantastic! Ambiance, decor and food, all fantastic! Can’t wait to be back next year! Absolutely delicious! Special and different menu. Food is outstanding. Second time here and was just as good as the first. Beautiful setting (we were in the open dining room with high ceilings and windows). The website boasted the area which allowed you to see three chef's cooking stations, but that felt dark as we passed through and we were glad we were seated where we were. 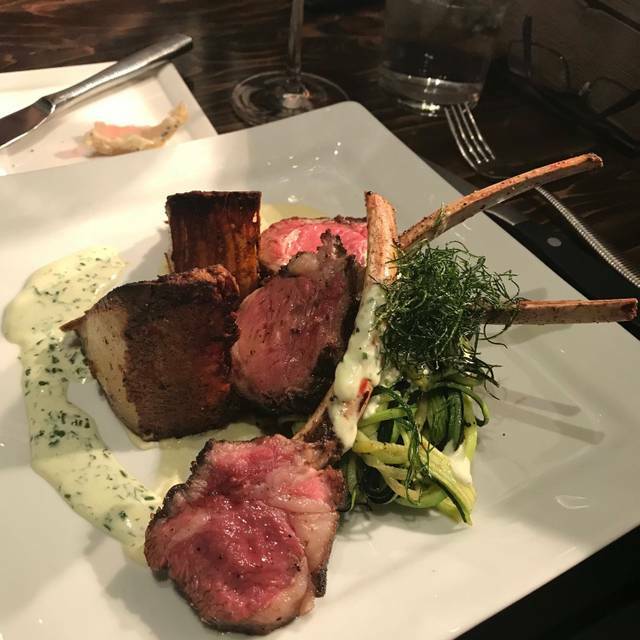 The service was excellent, although our server seemed a little frazzled as the evening progressed and more volume of diners arrived, but overall we loved our meal and our experience. My 9 year-old loved his wood-grilled salmon (off the "kids" options)...and he's a salmon aficionado! Our first time there, but we will definitely return! We have eaten at many of the fine dining restaurants in Park City and this one now ranks as our absolute favorite!! More than J&G and Riverhorse! If I was to make any derogatory comment, I would say they could provide an upscale GF dessert. Other than that, we will return over and over again. great restaurant right on main st and awesome bar downstairs! Great food. Great service. Will certainly come back. Best food and service in Park City hands down! Every time we go Chef Anna is so kind to have our girls back in the kitchen to show them what's going on. I can recommend this place highly enough. Our favorite spot in Park City. Great food, impeccable service and fabulous ambience! We had very spotty service as there was confusion as to which waiter was handling our table. As well, no one even came to our table for the first 10 min upon being seated. It just seems that this is a communication issue. I do feel the staff, including bus persons, could benefit from additional training. There was a lot of reaching in front of faces. The food was very good however and the restaurant is very nicely done. But, for the price, service should be spot on. This has become our favorite PC restaurant. Food and staff are outstanding with a true team approach to service. I had the duck which was perfectly prepared. Ambiance is great with a nice display kitchen. Noise level is on the high side. Great atmosphere but a little loud. Food did not disappoint ! Phil was our waiter again... AWESOME. Greg and Rene are always amazing when we go in. This is one place I never know what I am going to have and I am never disappointed. The atmosphere is great. Food is amazing. Staff is above expectations. We always make it a point to drop into the bar downstairs too..... great place!! Overpriced. Food is good but the prices are unnecessarily high. Don’t order a cocktail as they’re in the high teens and you only get about half a glass. Great food and great service from Mackenzie. all to myself :) Each dish lived up to its description. The hostess had managed to work us in with 24 hour notice when we had to change our reservation from later in the week (due to the skiing injury of one of our party). Our table in the bar was perfect! So from our experience, both the food and the management of the restaurant were terrific. The meal, ambiance and service were all wonderful. A little pricey but worth it. Made for a memorable evening celebrating my son's graduation. Server was excellent as was the Halibut. Lively place w good energy. The food was excellent!! (The brisket and the duck were unreal) I’m only rating the ambience low b/c we were seated near the door and I was FREEZING...probably would have given it 5 stars if we were seated farther inside the restaurant. Would love to dine here again and try all the other food. Fantastic food and service. Get the smoked trout toast appetizer. The duck was also fantastic! Took a perspective client here for dinner. Waiter brought a complimentary pre appetizer for everyone. The description was way more substantial than the minuscule item on the plate. It was tasteless. Client took one sip of his cocktail and sent it back. Then ordered a $150 bottle of very average wine. He ordered elk but was served salmon. Then everyone felt compelled to wait until his elk arrived. Waiter of course blamed it on the kitchen. $550 for 4 ppl not including tip. We had wonderful food and amazing food!!! Would highly recommend.. favorite dinner so far in park city! Very innovative menu, open kitchen. We enjoyed the jackfruit- artichoke cakes as an app as well as the smoked trout toast. The elk entree was a first for us and very good as was the roasted salmon. Wonderful dining experience! 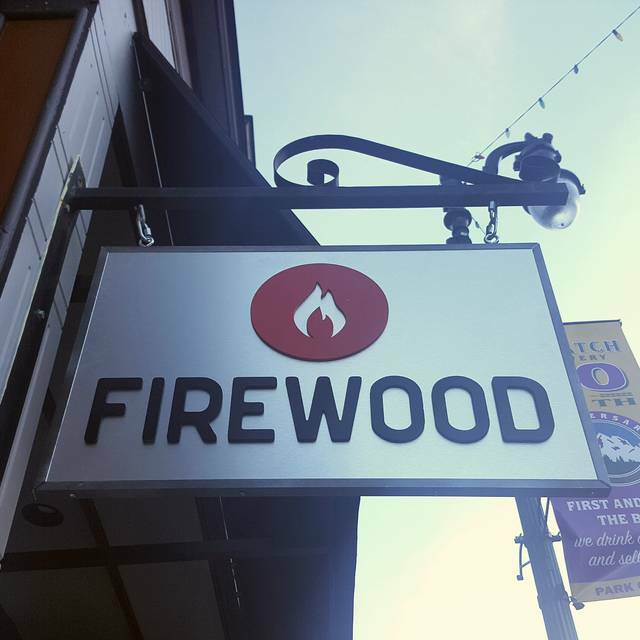 We had a great time at Firewood- drinks were good, salads were delicious, and our entrees were all amazing - especially the duck and brisket! There was a bit of a lag between courses, but otherwise the service was good. We’ll be back!